This time Lorenzo Colombo takes the stand. international, and as of this writing I’m in Berlin for the summer edition of the Berliner Wein Trophy. However, I had never had occasion to attend the Concorso Internazionale sui Vini di Montagna, organized annually by CERVIM, in the Valle d’Aosta. 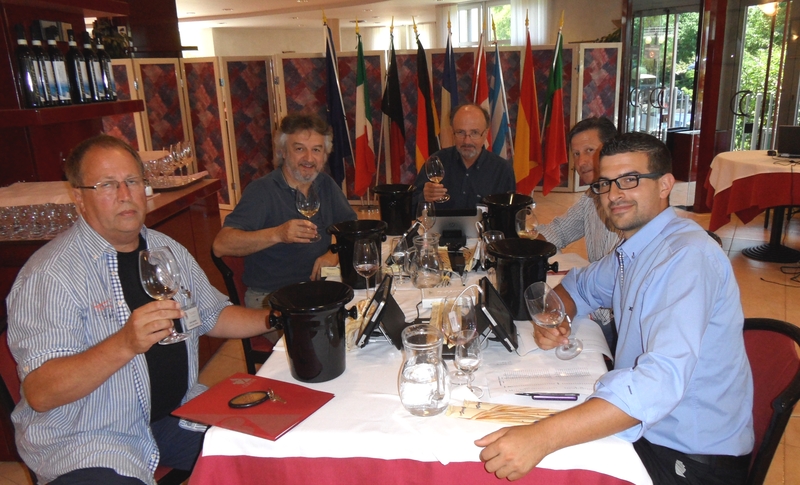 But the occasion came, and on July 4 we got together at Sarre, near Aosta, together with about 30 winemakers and wine tasters from a number of countries to taste and judge more than 650 wines from heroic viticulture. Let’s begin by introducing CERVIM, and discussing the organization of the tasting. The wines presented must therefore be from areas and wineries that meet the above requirements. 2. B): Communes, Mountain Communities, and interprofessional organizations with less than 5,000 hectares of mountain vineyards. 3. C): The founding members, individual and associated wineries, research institutes, both Italian and foreign. The participating wine making regions are almost all European – in addition to Italy there are Spain, Germany, Austria, Greece, Slovenia, Switzerland, France, Luxemburg, and Hungary – though there is also the United States, with North Carolina. Until recently Portugal was also present, with the Douro region, but due to the economic conditions they have withdrawn. For further information I suggest you visit the CERVIM site, which provides a great deal of useful information. 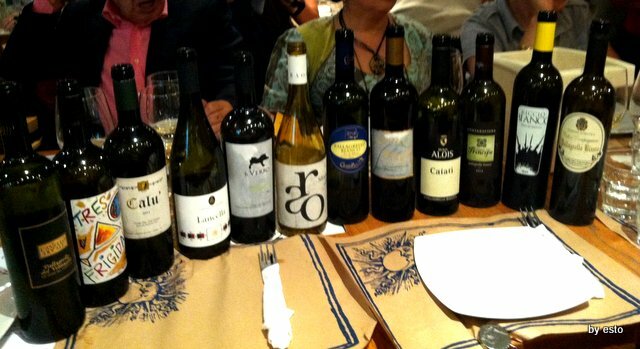 And this brings us tot he 21st edition of the tasting, with 653 wines presented ( a new record, 45 more than in the last edition) and two new wine zones, the Canary Islands and Armenia. As one might expect, the country presenting the most wines – 365 – was Italy, followed by germany, with a hundred wines, almost all from the Palatinato area, then Spain, with 85 wines, Switzerland with 72, France with 16, Austria with 6, Slovenia with 5, Greece with 3, and Armenia with 1. The most strongly represented Italian region was the Valle D’Aosta (to be expected, as they host the competition), with 81 samples, followed by Lombardia (60), Sicily (46), The Province of Trento (46), The Veneto (33), The Province of Bolzano (24), Liguria (22), and then the rest. Puglia, which lacks mountains, was absent, as were Umbria, the Marche, Basilicata and Molise. 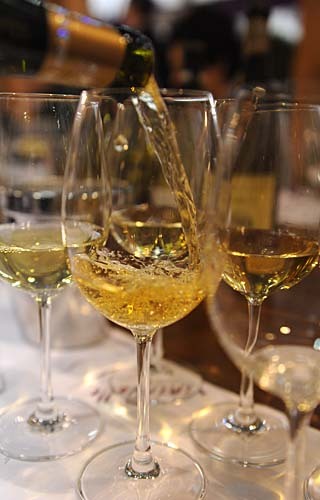 The wines are subdivided into eight categoies on the basis of type, color, vintage, and residual sugar, and must be classified as either DOP or IGP, or the equivalents of other countries. 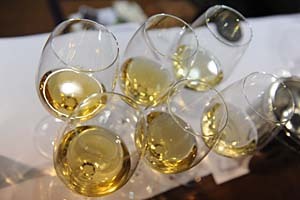 Since the tasting is overseen by the OIV the six tasting commissions followed their rules; each commission consisted of 5 tasters, three of whom must be winemakers or cellarmasters, one must be a master taster, and the fifth a wine writer. For the tasting to be considered “international,” more than half of the participating judges must be from countries other than that organizing the tasting, and indeed there were tasters from Italy, Spain, France, Germany, Switzerland, and Slovenia, many of whom I already knew from participating at events throughout Europe. My commission’s President was François Murisier (President of the CERVIM’s Comitato Tecnico Scientifico); we also had a winemaker from the Veneto, another from the Valle D’Aosta, a German from the Moselle region, and then there was me and my colleague from Vinealia. Rather than use the traditional paper evaluation sheets, here we used electronic score cards loaded as apps on tablets issued to each judge; this greatly hastened the tasting by allowing the judges to concentrate exclusively upon the wines, and also helped it flow more smoothly and with less stress, as the possibility of making mistakes in filling out the forms was greatly reduced. After filling out the score card the judge sends it to the President of the commission, who replies with the average score awarded the wine. This allows an exchange of opinions, and gives the tasters the opportunity to review their scores, after which the President registers the scores, and sends them to the data center. This judgement system was developed by the Swiss Vinea Association; it is generally employed in wine tastings held in Switzerland, and since Vinea is associated with the Concorso Vini di Montagna, they oversaw the elaboration of the data. The Tasting was divided into three tasting sessions, during which our commission tasted 115 wines, in flights of wine from the various categories. We assigned 12 Gold medals and one Great Gold medal. With regards to medals and scores, it is worth noting that the Concorso Vini di Montagna adopts criteria more ridgid than those followed by the OIV: To win a Silver medal a wine must have an average score of at least 85/100; for Gold the minimum is 90/100, and for Great Gold 94/100. The OIV’s minimum scores are 82/100, 85/100 and 92/100. Finally, per OIV regulations, no more than 30% of the wines presented at the tasting can receive awards. The Great Gold Medal we awarded went to a sweet German wine, a Riesling to be precise, while we were also quite pleased to assign a Gold medal to a rosé (Italian, as it turned out), considering that rosès are often looked down upon by both wine judges and consumers. The complete list of the wines presented and the prizes awarded will be released anon, probably at the end of August. 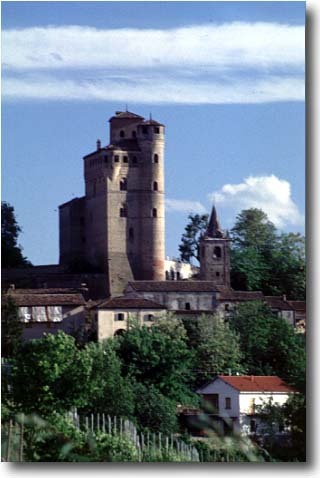 Though it is not as well known as many other Chianti Classico estates, Villa Montepaldi is one of the oldest: In the XII century it belonged to the monastery of Passignano, which sold it to the Giandonati family, which in turn sold it to Acciaioli family, who were among Florence’s most important bankers. In 1487 they turned the property over to Lorenzo de’ Medici to extinguish a debt, and, as was their practice, the Medici family’s administrators expanded the property and transformed it into an independent farm complex, with 13 poderi, or farms, which produced primarily wine, olive oil and grain (farms); it’s worth noting that the administrators also prohibited hunting in the woodlands of the property. In 1627 the Marchesi Corsini bought the property from the Medici and further expanded it, making it one of the most productive farm complexes in Tuscany; it now boasts 315 hectares and belongs to the University of Florence, which uses the villa to host a number of courses and activities, including a Master in Wine Marketing and Winery Management, and the agricultural lands for both research and production. Villa Montepaldi’s 45 hectares of vineyards are planted, as one might expect in Chianti, primarily to Sangiovese, though they also have Merlot, Cabernet Franc and Cabernet Sauvignon, and for their whites Sauvignon Blanc, Trebbiano, and Malvasia (the latter two used for a passito). Brassy gold with brilliant golden highlights and pale gold rim. The bouquet is fairly intense and quite varietal, with savory gooseberry and vegetal notes supported by pleasant spice from grapes, and sage and other herbal notes as well. On the palate it’s full, with fairly rich mineral laced gooseberry fruit supported by slight sweetness and considerable glycerin that confers an almost chewy feel to it, and by bright mineral acidity that gradually fades into a fairly long peppery herbal finish. Pleasant in a powerful, charged key, with a richness that derives in part from the nature of the 2012 summer, and will work nicely with fish based first course dishes along the lines of spaghetti allo scoglio (with crustaceans, molluscs, and reef fish) or flavorful fish, especially roasted or grilled. If you like Sauvignon Blanc you will enjoy it. Elegant ruby with brilliant reflections and cherry rim. The bouquet is fresh and brambly, with cherry fruit supported by hints of violets and some underbrush and wet tree bark, and by mineral acidity; the overall impression is zesty. On the palate it’s medium bodied and fresh, with bright cherry and forest berry fruit supported by lively sour cherry acidity and by tannins that have a warm greenish Sangiovese burr, and flow into a fairly long brambly finish. A cocky quaffing wine that will work very well with foods, ranging from hearty soups such as Tuscan ribollita to meaty pasta sauces, and will also be quite nice with quickly cooked grilled meats, from burgers through ribs (seasoned with salt and pepper per the Tuscan custom), and also with light stews or roasted white meats. In short, versatile, and will go quickly. Elegant cherry ruby tending towards garnet, with black reflections and pale rim; it’s a little less intense than the Tagliafune, and this is because the Tagliafune also contains some Merlot. The bouquet is delicate, with some violets mingled with underbrush and red berry fruit, fairly strong brambly accents, and some leaf tobacco; the tertiary elements are beginning to emerge. Moderate brambly acidity too. On the palate it’s medium bodied and deft, with nice sour cherry fruit supported by some dried flowers and fairly intense brambly acidity, while the tannins have a brambly burr and flow into a fairly long brambly finish with fairly intense cedary notes. It’s deft and agile, with nice fruit, and will drink quite well with grilled meats, for example a porterhouse steak or lamb chops, and will also be nice with a stew or roast. It has a nice fairly traditional feel to it, but you will enjoy it with meats even if you generally prefer smoother more polished wines. In short, a food wine. This is a Taglio Bordelese, Cabernet Franc, Cabernet Sauvignon and Merlot; it’s deep pigeon blood ruby with dusky cherry reflections and some garnet in the rim. The bouquet is fairly rich, with cherry and forest berry fruit, in particular blackberries and currants, supported by tobaccoey spice and jammy notes. Moderate acidity, which works from behind the fruit to provide direction. On the palate it’s smooth and full, with rich berry fruit supported by acidity that’s brighter than I might have guessed form the nose, and by smooth sweet tannins that have a slight youthful greenish burr, and flow into a smooth greenish finish with a fair amount of acidity that becomes more mineral as the fruit fades. Pleasant in a rich fruit driven key, and also fairly young – it will age nicely for at least 3-5 more years; it will drink well with succulent not too fatty roasts along the lines of roast beef cooked rare and sliced fairly thick. Tawny apricot with amber reflections and slight greenish brown highlights. The bouquet is intense and sweet, with dried apricots and some dates mingled with almond skins and walnuts, with a fair amount of dark brown sugar and some oatmeal as well. Nice depth and richness. On the palate it’s not as full as the nose led me to expect, and moderately sweet, with moderate dried apricot fruit and acidity supported by walnut skin bitterness and slight tannins that have a bitter walnutty burr, and flow into a savory bitter finish that gains balance from brown sugar sweetness. While the nose is interesting, the palate doesn’t manage to match it, and because of its lack of concentration it seems drier than it is; I found myself wanting more. The wines, especially the reds, impressed me quite favorably; the Tagliafune in particular will work very well with foods, and is the sort of wine that will go much faster than one might expect. In addition to wine, Montepaldi produces extravirgin olive oil from 45 hectares of olive groves, flour, bread, and durum wheat pasta from a mixture of heirloom grains grown on 100 hectares of wheat fields, and honey. 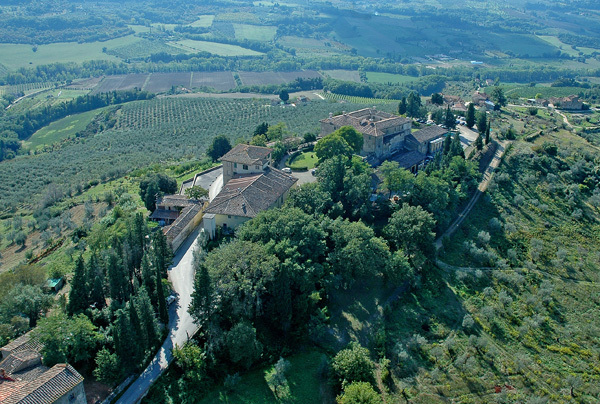 You will find more information on Villa Montepaldi on their site. Last thing: The photo is from their site. A few weeks ago I wrote a quick piece on how one might enjoy a weekend in Friuli Venezia Giulia, spending a day at Cividale and another at Aquileia. If you had a third day, you might also think about visiting Marano Lagunare, which is something – so far as I know – unique. And what is it, exactly? 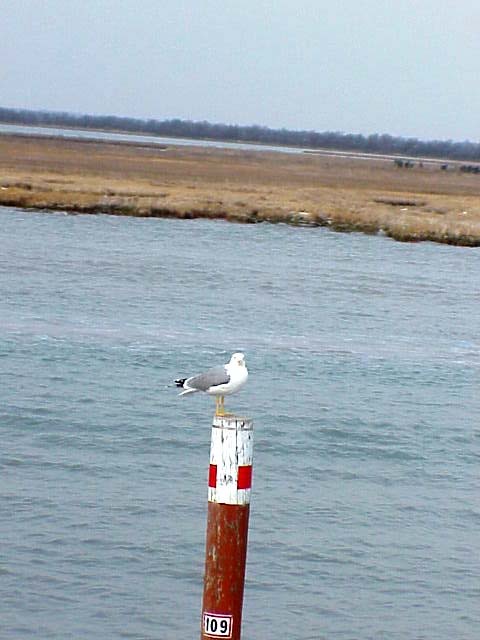 Marano Lagunare is an area west of Aquileia on the Friulian coast, where large brackish lagoons have formed behind a series of barrier islands. 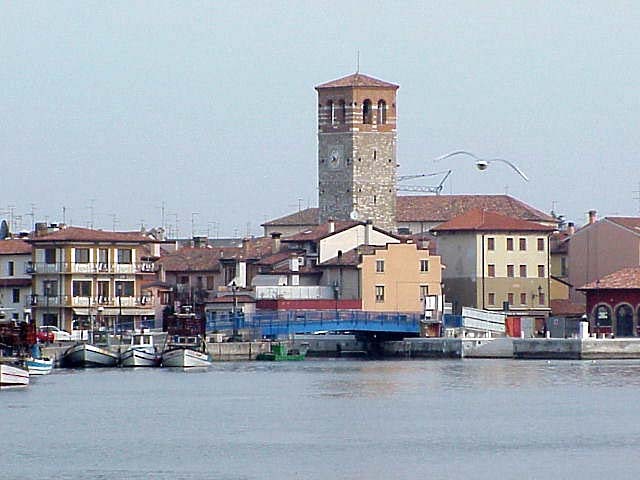 The town is pretty, with elegant palaces and a port that was initially fortified by the Patriarch of Aquileia in about 1000 AD, and then taken over by the Venetians, who transformed it into one of their mainland strongholds; it remains a Venetian enclave where the population speaks Veneto rather than Friulano to this day. But the real reason to visit Marano is the lagoon; it’s several miles across and for the most part very shallow, though there are channels that were dredged during WWI by the Italian Navy, which wanted to move supplies without having to worry about being attacked by Austrian ships in the open Mediterranean. Now the channels are used primarily by fishermen, and one leads west to the Riserva Naturale Foci dello Stella, the Mouth of the Stella River Wildlife Refuge — beautiful but not at all what one thinks of as Italy: Flat, as befits the mouth of a meandering river, with huge open skies and fields of brilliant green (in the summer) reeds that stretch to the horizon. 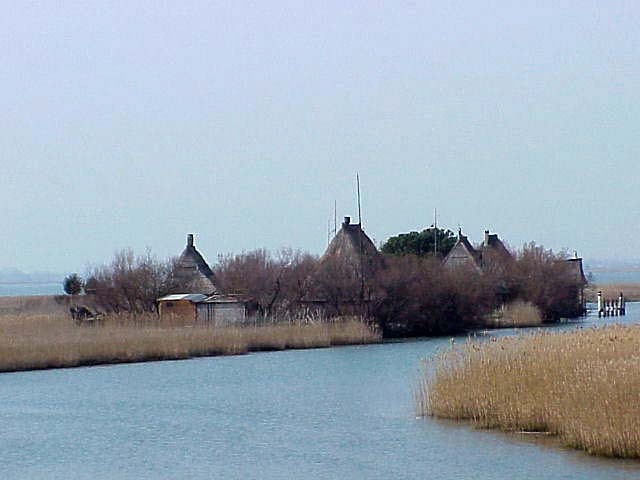 Lots of birds, and, along the banks of the channels, the Casoni where the fishermen used to live; they’re fairly large rectangular buildings whose walls and steep-sided roofs are made of reeds, and at first glance one might think they belong on a south-sea island, though the absence of windows suggests a cooler clime. Some are isolated, while areas with a little more dry land have several on the banks of the canals, forming small hamlets. The hamlet we visited was deserted, because we visited on a weekday morning; up until the introduction of boat motors in the 1960s each Casone was inhabited by several fishermen, and each day one would row back to the mainland to sell the previous day’s catch while the rest would head out into the lagoon to catch whatever happened to be in season. 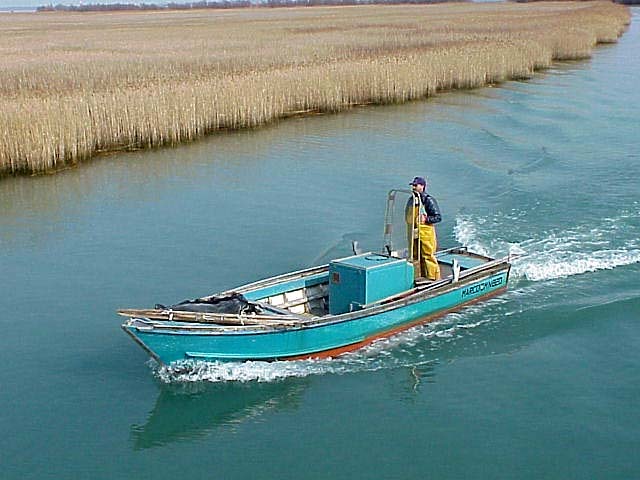 Now, instead, the fishermen return to port each day, and those who still own Casoni use them as weekend retreats. Our visit to the hamlet included a visit to a casone; it was quite airy, and though a fire was roaring in the raised fire place in the middle of the casone and there was no chimney there was very little smoke — the smoke filters through the reeds, while the absence of larger openings kept the interior much warmer than it would otherwise have been. Though living in a casone year round must have been very difficult, especially during the months when the days were short, spending a summer weekend in one now must be rather nice; there’s a wonderful sense of peace. Our trip was of course organized — the only way to reach the wildlife refuge is by boat. We were on board the Nuova Saturno, a small ferry captained by Adriano Zentilin, who is quite knowledgeable and commented upon everything we saw. During the return leg we were treated to a fish lunch based on the local catch, including delightful grilled sardines, accompanied by several white wines from Friuli’s costal DOCs. The Nuova Saturno departs daily from the Marano Lagunare’s pier at 10 AM, returning at about 4. 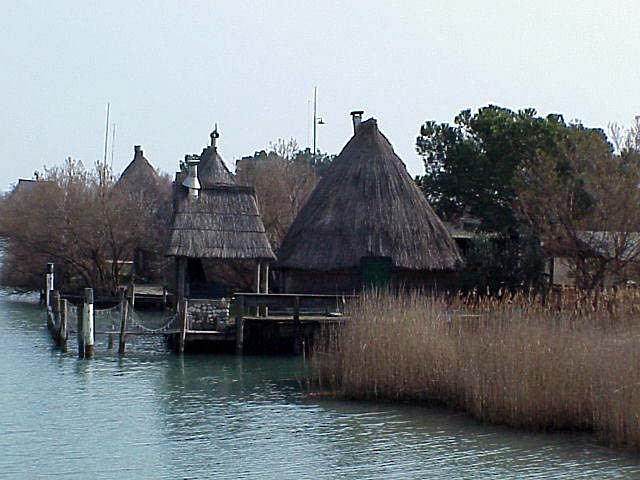 If you visit Friuli Venezia Giulia do consider the lagoon, because it opens a window onto a way of life few even in Italy are at all familiar with. For further information, reservations (a good idea) and such, see http://www.saturnodageremia.it/. A last note: I visited Marano Lagunare in the winter, and hence the hues in the photos. If you visit in the summer, it will be much, much greener. The Valle D’Aosta is a unique and fascinating wine region; it is, as its geographic name suggests, a valley, and to be more specific is more than 80 km long, gradually rising along an east-west trend (thanks to its orientation the slopes get sunlight from sunup to sundown), with a succession of varietals along the valley slopes, each grown at the altitude that best suits it. Some are white, and in the town of Chambrave, at an elevation of 550-600 meters, Moscato Bianco does especially well. So this year at Vinitialy the Regione Valle D’Aosta organized a vertical of Valle D’Aosta DOC Muscat, featuring 6 wines from the La Crotta di Vegneron, a cooperative that was founded by a group of 25 winemakers in 1980, and now boast about a hundred members. They make a fair number of wines, including this Muscat, and we tasted 6 vintages, ranging from 2001 to 2011. It was quite interesting, and I was impressed by the ageworthiness of the older wines. Deep gold with brilliant golden reflections and rim that pales to white. Quite charged. The bouquet is intense, with honey and some tropical fruit laced with candied pear and supported by some greenish accents and some gunflint; it’s clearly mature and wears its maturity well. On the palate it’s ample, with lively sour white berry fruit supported by lemony acidity and as it flows towards the finish considerable hazelnut bitterness with underlying sea salt and a slight greenish burr that continues with the support of the acidity. Quite interesting and very much alive, with tertiary accents that contribute complexity, and a hint of oxidation that adds depth. It’s a wine I would be more tempted to drink with curious friends than at table. Lively brassy gold with golden reflections and white rim; by comparison with the 01 it’s more gold and less yellow. The bouquet is moderately intense and mineral, with mineral acidity and some yellow peach mingled with hints of heather, Mediterranean scrub, medicinal herbs, and honey. Interesting. On the palate it’s quite dry, with bright lemony pineapple acidity and fruit supported by slight flinty tannins and by bright lemony acidity that flows into a clean mineral sour pineapple finish. It clearly reveals the cooler wetter nature of the 2002 summer, with terrific acidity that carries very well and sustains the wine. Decidedly less charged gold than either the 02 or the 01, with brilliant brassy reflections and a white rim. The bouquet is fairly intense, with considerable smoke mingled with greenish notes and some heather, and some spice. In an odd way it comes across as more mature than the 02; which is more linear and more bracing. On the palate it’s ample, with fairly bright yellow peach fruit supported by minerality and slight mentholated accents, with underlying gunflint minerality and slightly flinty tannins that flow into a finish that combines yellow peaches with some greenish accents, and a flinty tannic underpinning. While richer, I found it less interesting than the older vintages. Slightly more charged gold than the 2004, with brilliant golden reflections and white rim. The bouquet is fairly intense,with citrus and yellow peach mingled with mentholated notes and slight camphor, and also some spice. On the palate it’s ample, and dry, with moderately intense yellow peach supported by lively slightly bitter pineapple lemon acidity that flows into a fairly bright citric finish that continues at length, and gradually fades into more bitter somewhat balsamic notes as the acidity declines. Quite pleasant, and a wine I could hold a conversation with. Lively brassy gold with golden reflections and white rim. The bouquet is intense, with honey and yellow peaches mingled with some eucalyptus and delicate white blossoms, and some mineral acidity. It’s fresher than the older wines, and this is simply youth. On the palate it’s ample and citric, thanks to the acidity, while the underlying fruit is fairly green peach, and it flows into a clean peach laced finish with some hints of flinty tannin that provide direction and depth. Pleasant, and will work quite nicely as an aperitif. Pale brassy white with brilliant brassy reflections and white rim. The bouquet is intense and fresh, with elelgant floral notes mingled with yellow peaches and slightly mentholated heather; it has a pleasing lusciousness to it and is quite obviously dry. On the palate it’s ample, with rich yellow peach fruit supported by pineapple and tannins that bring to mind the eye of a pineapple, and flow into a clean rather bitter pineapple finish with underlying flinty bitterness that carries into the finish. Quite pleasant in a direct key, and will drink very well as an aperitif or with foods. Also nice aging capacity. More than the history of a cheese, this should perhaps be the history of a person. However, since garantito IGP is dedicated to food and wine, we’ll talk about the former, which in any case bears the name of and owes its origins to the latter: Gioda. Gioda is a cheese. An excellent cheese, I might add. I had heard of it, but hadn’t had occasion to taste it until a couple of months ago, when the Pellegrinaggio Artusiano broght me to Mondovì, in the rural heart of Piemonte, and the town that – not by chance – boasts the last of the Comizi Agrari d’Italia. An institution closely tied to our cheese. A cheese that, to begin, lacks the “ancient roots and traditions,” and the “customs lost in the mists of time” that one often hears of, and are so prevalent in marketing. For a simple reason: Gioda is a cheese that was “invented” in the early part of the past century, 1928 to be precise, the the Paduan professor Alessandro Gioda (1878-1948), who first had a professorship and then directed the Comizio. A charismatic personality, considered an inspiration by the farmers of the time, who profited from his ideas. And it was his desire to help solve the material problems faced by the rural populations that led him to study cheesemaking with the goal of developing a way of putting the scanty winter milkings to good use, transforming them into a cheese that could be sold easily or consumed directly: Thus was born Gioda; the Professor’s intuition was to partially cook the forms, leading them to resemble Fontina. Whether the intuition was entirely his, or he had help or consolidated local practices already in use makes little difference. What’s important is that the formula for making Gioda was widely adopted and its popularity continued until changing socio-economic conditions made it less profitable, and its production was almost completely abandoned. Fortunately, the meticulous professor had left detalied instructions for producing the cheese that bore his name, and it is thanks to them that after his death people were able to track down the last remaining producers and pass on their art. An art now practiced by the Cooperativa Valle Josina di Peveragno (CN), which still follows the steps laid out by the cheese’s inventor. 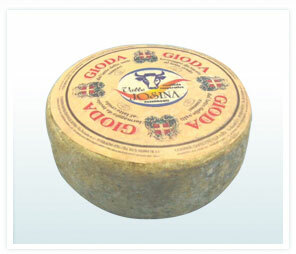 Gioda, as one might guess, is made from raw cow’s milk obtained in the territory of the Comizio Agrario di Mondovì: from Alto, in the Alta Val Tanaro, to the border with Liguria, to Beinette, Fossano and Monchiero. The cheeses, which have the name “Gioda” impressed upon them, weigh about 2 kilos (4.5 pounds) and are about 20 cm (8 inches) in diameter and 7 cm (3 inches) high; they are aged from 20 days to 2 months. The rind, which is soft, thin, and fairly rough, varies, depending upon the season and the molds, from pale yellow to a grainy gray. The body is instead elastic, very pale yellow to milky white, and with minute, irregularly distributed eyeholes. The cheese’s aroma is moderately intense, quite pleasant and not pungent, and brings milk to mind, a sensation present also on the plate, which is pleasantly firm, with milky flavors and others that confer unexpected complexity, including a delicate bitter vein and considerable persistence. Experts say the cheese also has hazelnut accents that I did not find. Gioda is quite versatile, and a nice antipasto; it is sold locally, and in the points of sale of the cooperative that produces it. The Pallagrello varietal has been known since the time of the Bourbons, who had planted it in the Vigna del Ventaglio, or Fan Vineyard, which was so-called because all of the rows, which were laid out in rays, were planted to different varietals. People had lost track of it until the end of the 90s, when it was rediscovered and replanted by Amadeo Barletta and Peppe Mancini’s Azienda Vestini Campagnano, and spoken about by Manuela Piancastelli, wine writer and maker, and Luigi Moio, enologigal researcher. In Pallagrello’s new lease on life it has settled into a small area of the Casertano, between Caiazzo and Castel Campagnano, which had until then been known for its farming and producing large volumes of olive oil from the Caiazzana cultivar. It is a small corner of paradise, now dominated by the vineyards many wineries have planted on the ridge crests. Pallagrello has always been used in blending because its initial acidity is very low. The new cultivation and vinification techniques have allowed winemakers to make Pallagrello in purezza with considerable character that pairs well with foods. 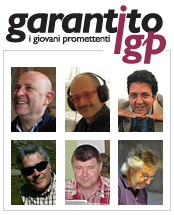 Here is a rundown of the latest vintage, for Garantito IGP’s steadily expanding readership. The nose is short on depth, whereas the palate displays nice energy and citirc acidity. Long, flowing into an almost tannic finish. Aromas of white berry fruit; pleasant on the nose, with hints of sweetness that do not impinge. Nicely balanced palate, and pleasant because of its fullness. Dry finish. VESTINI CAMPAGNANO Caiazzo Tel. 0823.862770 info@vestinicampagnano.it http://www.vestinicampagnano.it. Slightly dirty nose. Initially reduced, then fruit emerges. The rusticity is present on the palate too, which is long and pleasant. Very intense nose, pleasantly long, and ample. On the palate it displays more energy, good acidic verve, and is broad, full, and nicely savory. Nice white fruit on the nose, slightly sweet. The palate is quite full, austere, long, and decidedly savory. Exciting finish. A Pallagrello with more ambition; it has spent time in wood and displays considerable aging capacity. The 2011 is the best yet, with spice and fruit melding, and excellent acidity that makes it ageworthy. Strange face powder nose that gives way to white fruit. Tghe palate displays good energy, though it is short. Savory and pleasant. The nose is charged, almost evolved. The palate is ample, full, long, and rustic. Good verve. The nose is pleasant and long, but a bit evolved. On the palate quite savory and pleasant. Full, fruity pleasant nose. The palate is savory, essential, and full bodied, flowing into a precise bitter finish. Evolved nose with ripe white pear and sweetness. Nice acidity, which however settles into the sweetness. The nose is quite correct. The palate is balanced, with good acidity and interesting verve. Squeezed white fruit on the nose and then on the palate, where it extends itself deftly. It’s quite rich, but ows its character to acidity and its being completely dry, which makes it a savory wine. A timid nose that must be sought. On the palate it’s very dry, pleasant, long, and agile. To be paired with foods. This is from one of the first wineries to work with the varietal. Good freshness and character, a wine that is essential and direct. Last fall I tasted and enjoyed Mauro Sebaste’s wines in the course of the IGP Barolo and Barbaresco tasting, and was therefore quite pleased when Mauro contacted me this spring to ask if I’d like to taste through more of their line. They sent two whites, a Viognier and a Roero Arneis, and a number of reds, including a very classic Dolcetto, a deftly oaked Barbera, and a Nebbiolo d’Alba that I found delightfully bright. Of the Baroli they make, they sent Prapò, which is from a vineyard in Serralunga, the part of the Barolo production zone that tends to yield the most structured wines, wines that are generally very young upon release and that require years to really emerge and show their best. Brassy gold with golden reflections and brassy highlights. The bouquet is is vinous, with bitter almonds and some gunflint supported by savory notes, heather of a freshly cut field in summer, and hops of the sort one uses in making beer. Inviting. On the palate it’s savory, with considerable heather and bitter minerality supported by savory mineral acidity and some gunflint that flow into a clean decidedly bitter savory finish that also has some chestnut honey notes. It’s quite charged, and will work well with flavorful foods, including richly flavored fish, creamy white meats or hearty vegetable dishes. It will overwhelm something more delicate. Pale brassy white with brilliant brassy reflections and white rim. The bouquet is deft, with sage-laced loquat fruit supported by savory notes and pleasing white blossoms; there are also hints of gunflint and bitterness. On the palate it’s bright, with fairly rich savory loquat fruit supported by bitter gunflint minerality and acidity, which flow into a clean bright mineral finish. Pleasant in a sunny key, displaying considerable finesse, and will be nice as an aperitif or with grilled or roasted fish; I’d also be tempted to serve it with egg based summery dishes along the lines of an onion frittata, while it will also work nicely with Oriental dishes, including things that are fairly heavily spiced. Worth seeking out. Lively cherry ruby with cherry reflections and rim paling overtones white. The bouquet is classic, with red berry fruit supported by bitter almonds and some graphite shavings, while there is also pleasant slightly savory spice. On the palate it’s medium bodied, with bright bitter cherry fruit supported by moderate acidity and to a greater degree graphite laced bitterness and tannins that have a fairly intense bitter burr and flow into a long pencil shaving laced finish. A classic Dolcetto that will work quite well with summer foods, and be ideal at a cookout, while during the cooler months it will be nice with a simple stew. Deep pigeon blood ruby with some garnet in the rim; it’s close to poured ink. The bouquet is intense, with jammy berry fruit supported by cedar and some mentholated accents; it’s nicely balanced in a modern key, but needs another year to come together. On the palate it’s ample and smooth, with fairly sweet jammy fruit supported by considerable warmth and tannins that have a graphite shaving bitterness to them, and flow into a fairly bitter warm fruit laced peppery finish. The palate reflects the nose; in terms of style it’s quite modern but deft. If you like oaked Barbera you will enjoy it, and even if you prefer Barbera in steel you will find things to enjoy; unlike some wines that are termed “modern” it does have nice acidity, and thanks to this acidity will pair well with hearty roasts or stews, for example leg of lamb. It grew upon me. Garnet with black reflections and almandine rim paling towards orange. The bouquet is moderately intense, with spice and some rosa canina mingled with slight red berry fruit and a certain coolness that brings dappled shade to mind. On the palate it’s medium bodied and bright, with lively sur cherry fruit supported by slight greenish bitterness and bright berry fruit acidity, while the tannins are smooth and spicy, with a slight savory burr that flows into a fairly long tannic sour cherry finish. Quite pleasant in a bright rather zesty key, and will work very well with grilled meats or roasts; while it does have sufficient acidity and structure to age nicely for a few years its current freshness is also nice. Deep garnet with brilliant ruby reflections and garnet paling to orange in the rim. Classic young Barolo hues. The bouquet is deft, and young, with rosa canina mingled with red berry fruit and spice, and slight deft underlying cedar; one could say that it is together, but it is clearly just setting out, and will benefit from more time. On the palate it’s full, with rich cherry fruit supported by deft slightly bitter berry fruit acidity and by tannins that have a bitter graphite laced burr, and flow into a fairly long cedar-laced finish with underlying warmth and peppery spice. It’s pleasant in a modern – for want of a better term – key, and will drink nicely now with a hearty roast leg of lamb or similar, but will reward those with the patience to give it another 3-5 years or more to come together and develop. And reward those with more patience even more.